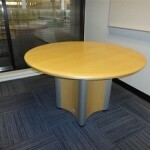 Referbished and in perfect condition the Allsteel Stack Chair is great, for the conference room, cafeteria, and meeting rooms. 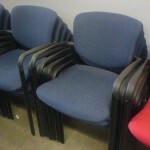 Stackable in quantities, these chairs can easily be kept in the corner on the side or tucked behind desks and tables. 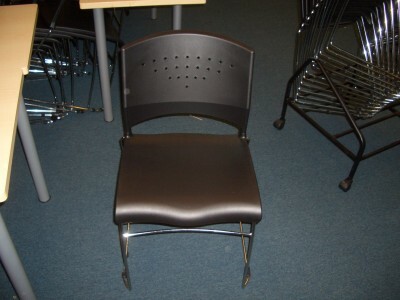 Its fashionable black and steel, this chair is a fashionable twist to the usual stacking chairs.